Welcome to “Meet a Competitive House Race,” a new Paste feature in which we highlight—you guessed it—a competitive 2018 House race from somewhere in America. Between now and election day, we’ll hopefully hit them all. You can see a full list of other House races we’ve profiled at the bottom of this page. What’s the deal with today’s district? Where is it? Like anyone criss-crossing the nation, including Jack Kerouac, we have to make a stop in Denver, CO. Colorado’s 6th district wraps around the eastern suburbs of the Denver metro area, most notably Aurora, though it also covers parts of Littleton, Brighton, Henderson and Centennial. Who the hell lives there? How do they vote? The district, once known as the safest for conservatives in the state outside of Colorado Springs, has shifted toward purple recently. This is mostly due to an increase in the region’s Hispanic population, which now sits at 19 percent, and the exodus of more and more rural voters following each subsequent redistricting. The district still has some pockets of heavy conservatism in its southern portion which have done well to keep incumbent Republican Mike Coffman in office for almost a decade, but the district has gone blue in the past three presidential elections, including a nine point victory for Hillary Clinton in 2016. Is Trump going to screw the Republican? Coffman’s connection to the NRA seems more likely to derail him, but his voting record stands decidedly pro-Trump despite his initial opposition to the president before the 2016 election. Prior to the 2016 election, Coffman chose not to endorse Trump, going so far as to run an ad campaign, in both English and Spanish, stating he would “stand up” to Trump. It was an inflammatory attempt to get ahead of the expected Trump era, but, outside of a few instances, Coffman easily settled back into supporting the conservative status quo following Trump’s election, voting with the Trump administration 94 percent of the time. What’s up with the Republican(s)? Republican incumbent Mike Coffman has a long political history at the state and federal level, but nothing has been as impressive as his ability to hold onto his seat in the House as his district shifted around him. He managed the feat by standing as a dependable conservative vote in Congress while breaking with the party on key issues that affected his constituents. While he voted for the repeal of Obamacare and the unpopular tax bill, he broke with his party over DACA, openly called for the firing of Michael Flynn after his connection to Russian officials was revealed, and has been fairly supportive of pro-cannabis legislation—a booming business in weed-legal Colorado. This moderate appearance doesn’t speak to his actual voting record, and no issue proves that more than the one increasingly defining the campaign within the 6th district: gun control. The topic has gained national attention following the school shooting in Parkland, FL, but the district has its own long history with mass shootings, most notably the Aurora theater shooting in 2012 and the area’s close proximity to Columbine High School. Coffman is backed by the NRA, having received $33,700 since 2010—the most of any House member in the state. He’s opposed universal background checks on gun sales and supported legislation that would require states to recognize concealed carry permits issued by other states. Coffman’s stance has grown unpopular within the district following the renewed pro-gun control efforts, leading to the incumbent being booed during a town hall in February due to his NRA connections. What’s up with the Democrat(s)? Coffman has three Democratic challengers, but only attorney Jason Crow stands as a legitimate contender to turn the district blue. Crow is the candidate responsible for framing the campaign mostly around gun violence, seeing his best route to the hill as one that centers on promoting Coffman’s NRA connections in the face of his pro-gun ownership views while pushing for widely-supported gun control legislation. Crow supports his positions while using his history as a hunter and Army veteran to appeal to those who fear attacks on the second amendment. It’s a strategy that worked very well for Conor Lamb in a heavily pro-Trump district earlier this year. Crow expressed his sentiments in his first political ad, directly attacking Coffman and recounting how his children’s elementary school is now holding active shooter drills. While the race will ultimately diversify somewhere down the line, Crow’s strategy is working well ahead of the June 26 primary. He’s gathered endorsements from the Democratic Congressional Campaign Committee and Rep. Gabby Giffords’ gun control advocacy group. Like many other races, polls aren’t readily available quite yet, but recent fundraising figures show that Crow is remaining close to Coffman despite not taking any contributions from PACs. Both have topped $1 million in campaign funds, making them the two clear frontrunners. 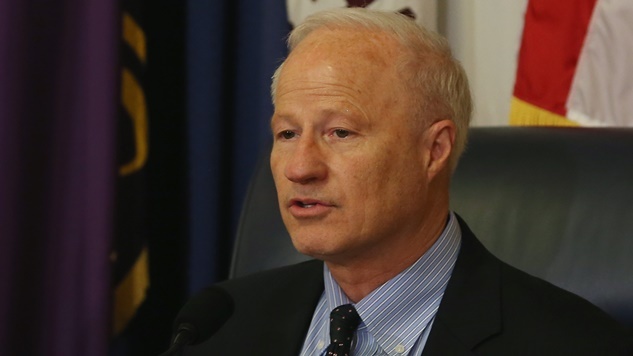 Coffman’s previous opponents have been heavily funded, but Crow’s ability to raise funds while excluding PAC contributions is encouraging constituents within the district. What’s weird about the district? The campaign will focus more on gun control than any other race outside of South Florida. No area has more of a history with the rise of mass shootings in the U.S. than the Denver metro area, and its a wound that is continually reopened with every subsequent mass shooting. While the gun control argument likely will not be the sole focus as the race becomes a one-on-one affair between Coffman and Crow, the district’s recent sentiment toward the NRA-backed Coffman could easily color any debate on other issues down the line. The district is substantially blue, and Crow has the ability to give the Democrats a victory where others haven’t over the past decade. Unless Crow’s other policies sour his strong start, Paste believes he will end Coffman’s tenure.